Furniture retailer Leon’s will be opening the doors of its downtown Toronto location to photographers and art fans this weekend, as it hosts a photography exhibit entitled Toronto CLICKS. 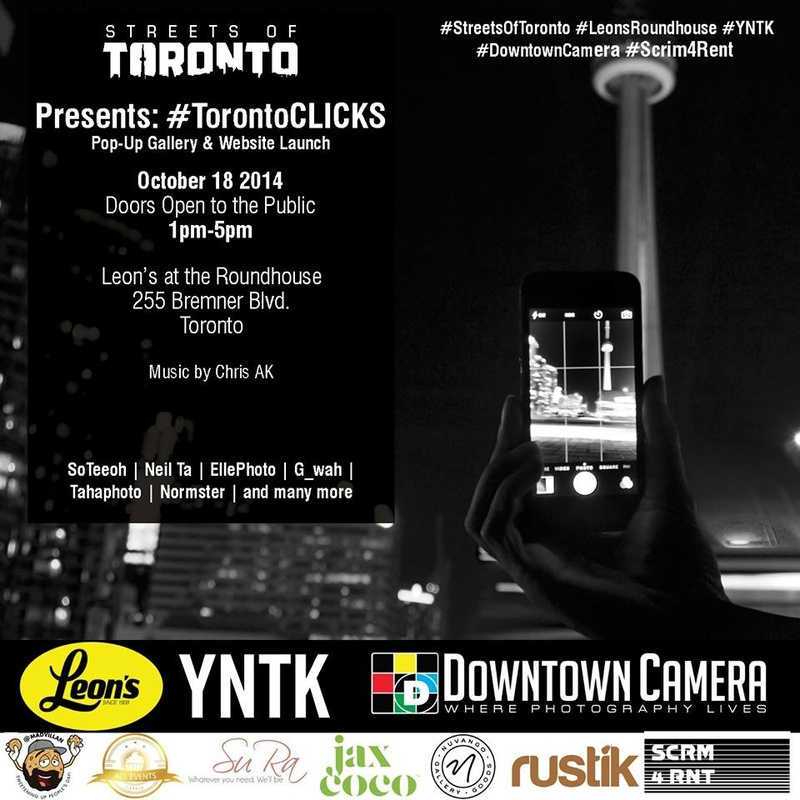 The pop-up gallery, presented by online photography community Streets of Toronto, takes over the Leon’s at the Roundhouse store near the Steamwhistle Brewery on Saturday, Oct. 18th. Streets of Toronto is an online photography community with more than 25,000 followers. Contributors use the hashtag #StreetsOfToronto on social media platforms such as Instagram and Twitter to showcase urban photography of landscapes, architecture and public spaces across the city. Saturday’s exhibit will showcase the work of 50 Toronto photographers, and will mark the launch of StreetsOfToronto.com – the official website for the organization’s upcoming digital and print magazine, as well as a branded line of merchandise. The 40,000 square-foot furniture store boasts a modern, loft-like atmosphere that’s certainly appropriate for this kind of artistic event. The exhibit will be open to the public from 1 pm to 5 pm on Saturday. Visitors will be able to purchase photographs, and can enjoy light refreshments as they take in compelling images of this dynamic city. The newest addition to Toronto’s King Street East Design District celebrated its official grand opening this week, and showed off its hefty collection of furniture and home decor items. 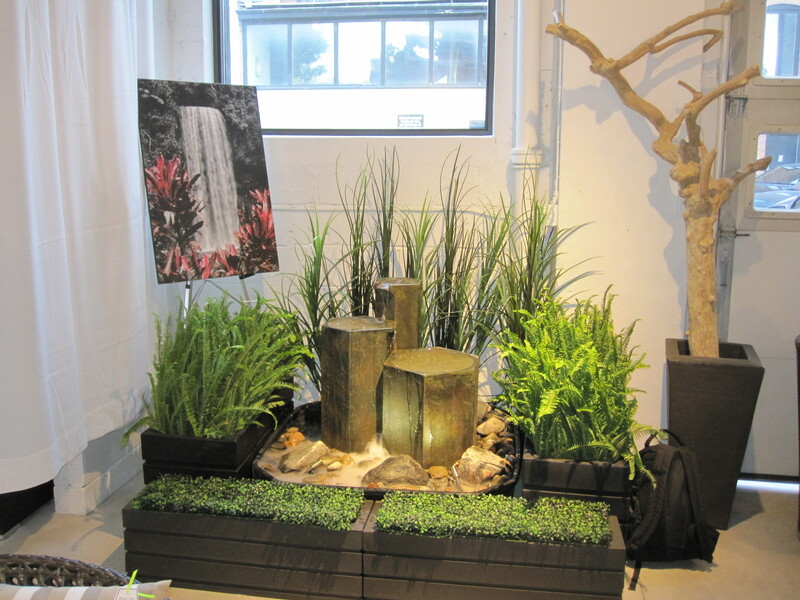 Creations By Design (CBD Co.), located at 81 King Street East, specializes in the concepts of reinvention, reusing and renovation. The shop’s owners travel extensively in Canada and abroad, in search of unique pieces that can be revamped into stylish new items that appeal to a variety of different tastes and budgets. 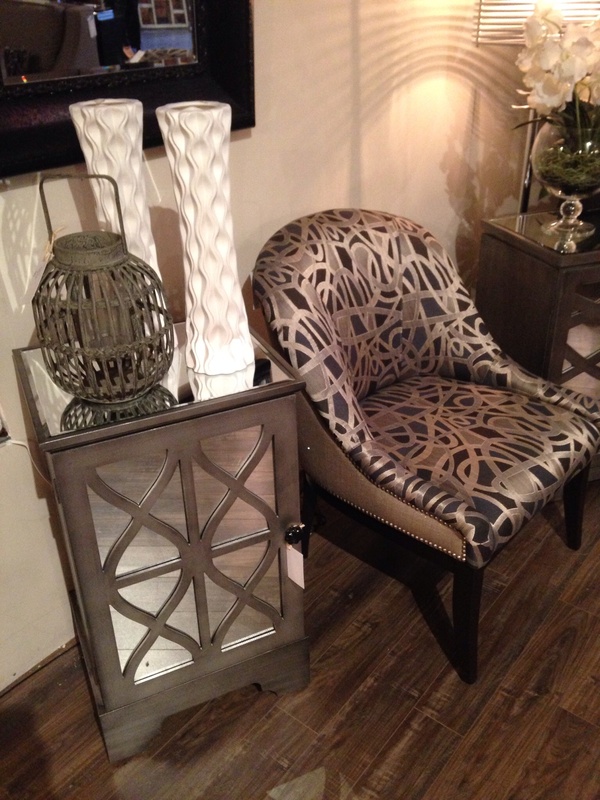 Elements of both new and old are very evident in many of the items at CBD. For instance, drawer units made from rustic wood are refinished with rich new stains or repainted with modern patterns, and metallic finishes are used to add a contemporary feel to vintage items. The result is an eccentric collection of furniture that embraces the history of each item, with a fresh spin. With similar elements of past and present in the boutique itself, including exposed brick alongside freshly painted walls and rich hardwood floors, CBD has created a very appropriate backdrop for its collection. In a market that’s largely dominated by major mass-producers of merchandise, it’s refreshing to see the emergence of new independent retailers promoting unique items that aren’t found on other stores’ shelves. A trendy new kid has arrived on Toronto’s home furnishing block. 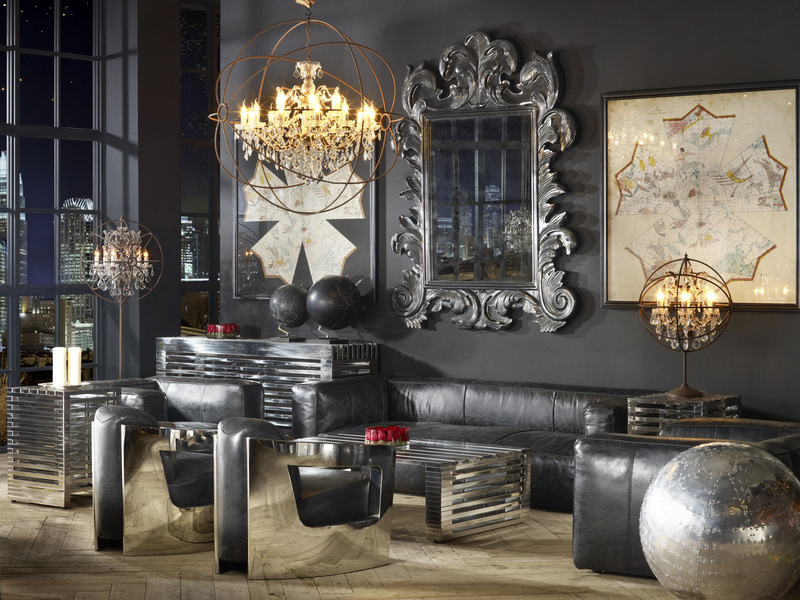 British furniture brand Timothy Oulton recently launched its first three Canadian locations, including one in Toronto’s King Street East Design District. The other galleries are located in Victoria and Montreal. The brand specializes in vintage-style handcrafted furniture with distinct British flare, such as curtains and cushions adorned with the Union Jack, historical-looking trunks, and classic chesterfields constructed with gently distressed leathers. 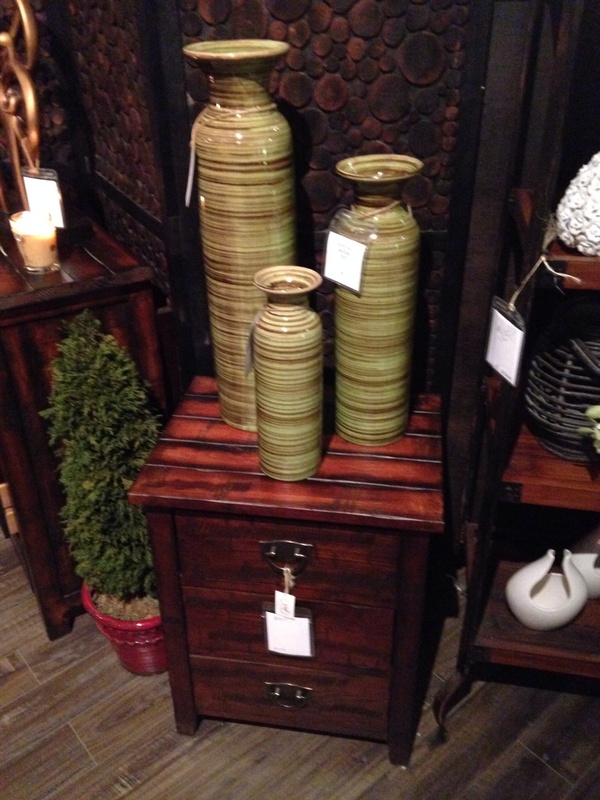 This philosophy is certainly reflected in many of the items in Timothy Oulton’s collections. Encompassing rich colours and whimsical details, the furnishings are visually striking and full of character, but also practical. The brand is named after its founder and creative director, who also runs the furniture company that owns the brand, Halo Group, alongside his brother Charlie. The pair learned about the furniture business from their father, Major Philip Oulton, who founded the company in 1976, when it was known as Halo Antiques. 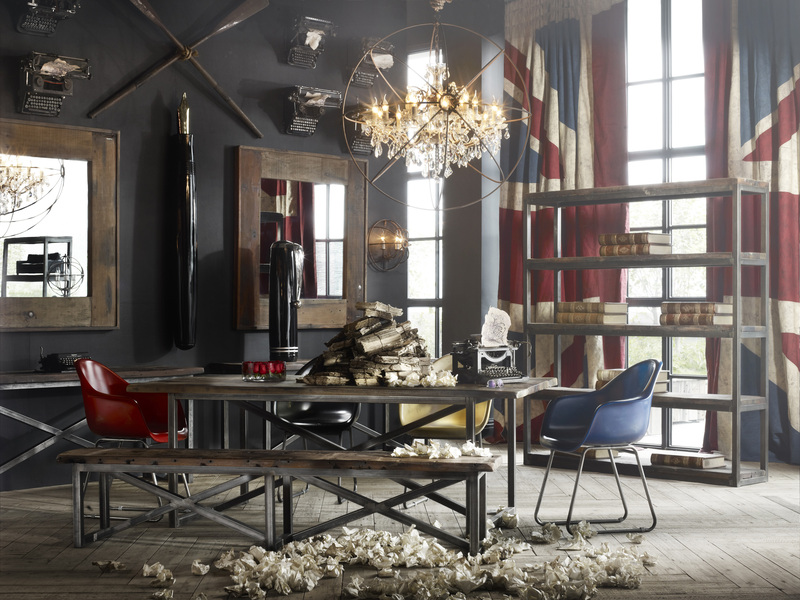 Timothy Oulton’s expansion into Canada comes as the brand has expanded aggressively into international markets in recent years. In the past year, it has opened galleries in Sydney, Tokyo, Hong Kong and Singapore, among other global cities. The brand now has 35 locations around the world. 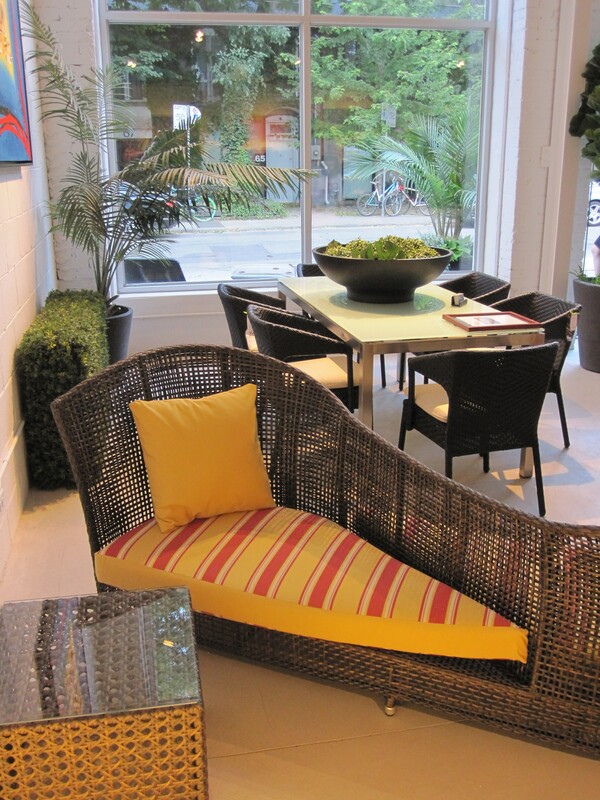 The Toronto gallery is located at UpCountry – a large showroom that carries the collections from various designers, at 310 King Street East, near Parliament. 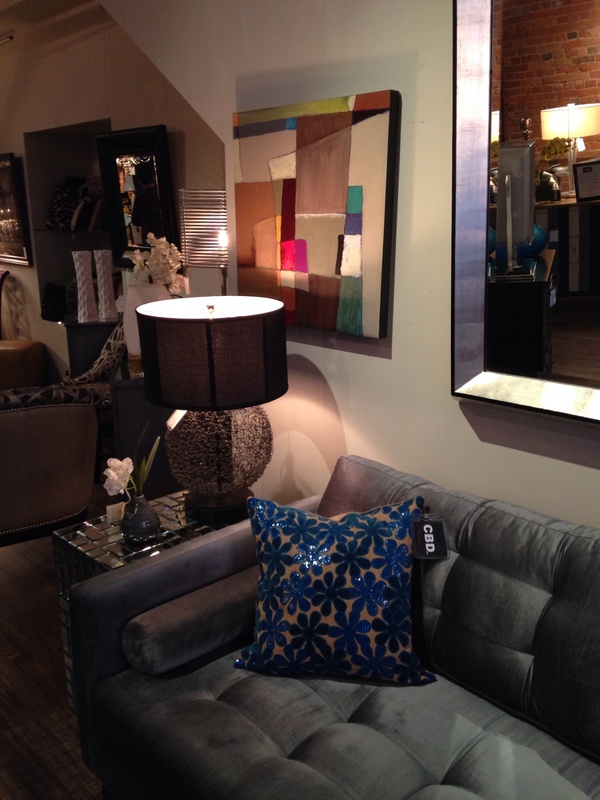 The new Timothy Oulton space features various furniture collections spanning 2,700 square feet of space. 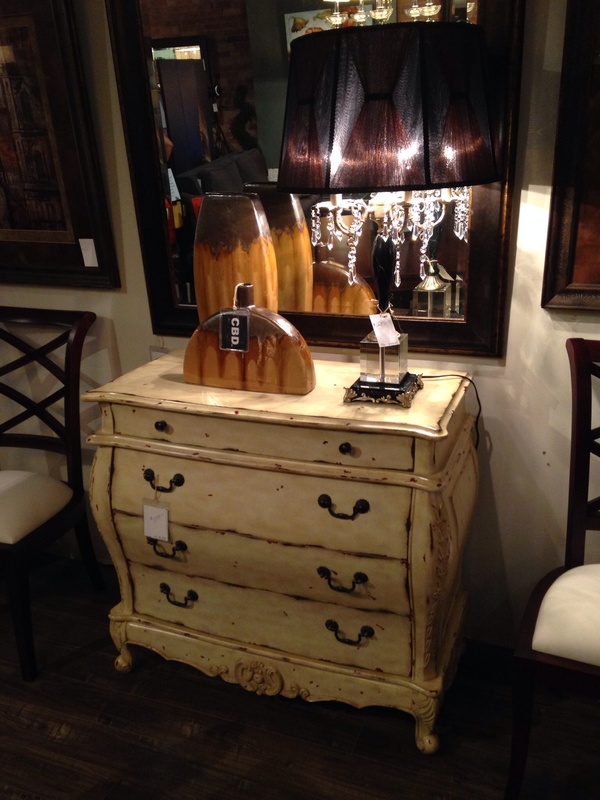 Even if you’re not in the market for a new table or ottoman, Timothy Oulton – and, for that matter, many stores in Toronto’s Design District – are worth visiting for simply a glimpse of the artistic creations and comprehensive decorative displays that are showcased within. 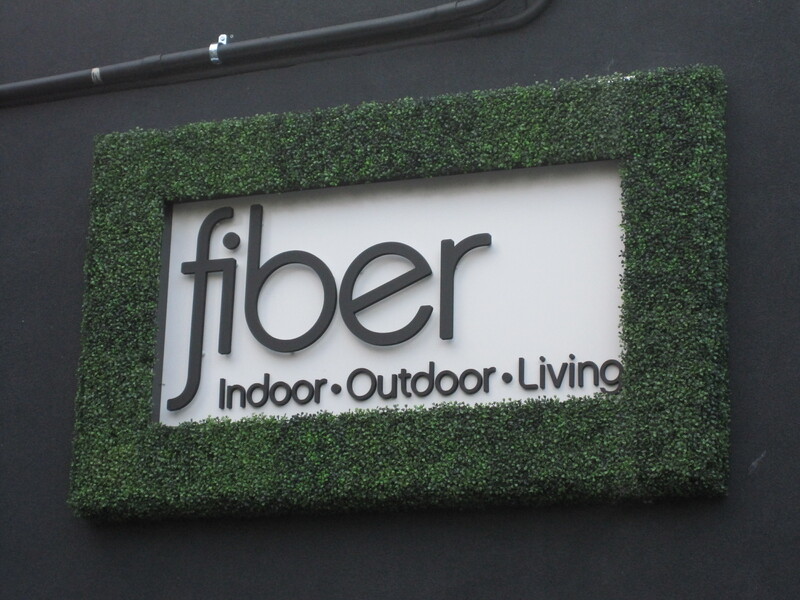 Indoor-outdoor furniture store Fiber Living, which opened last month (Fiber brings its furniture to Toronto), received an official welcome to the city’s design district with a launch party this week. 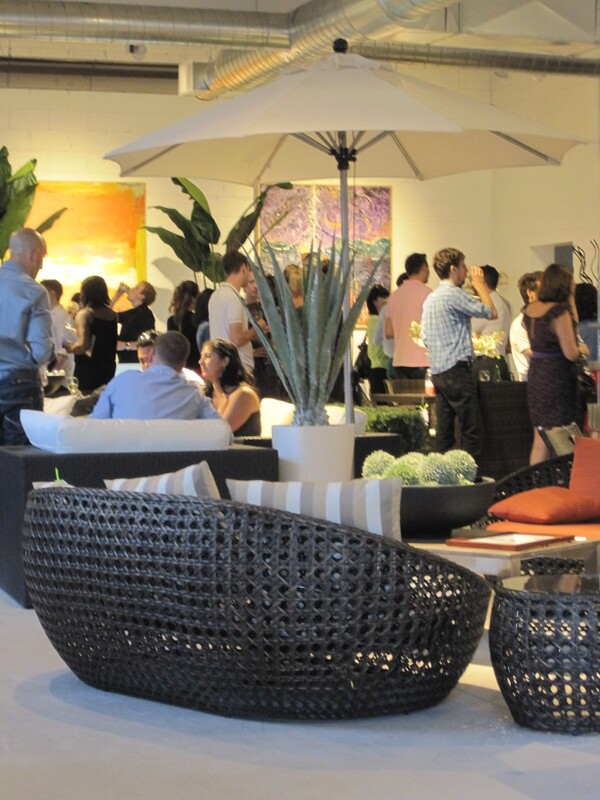 Hoards of people showed up for Thursday’s party to peruse the store’s stylish furniture while sipping drinks and munching on gourmet appetizers. 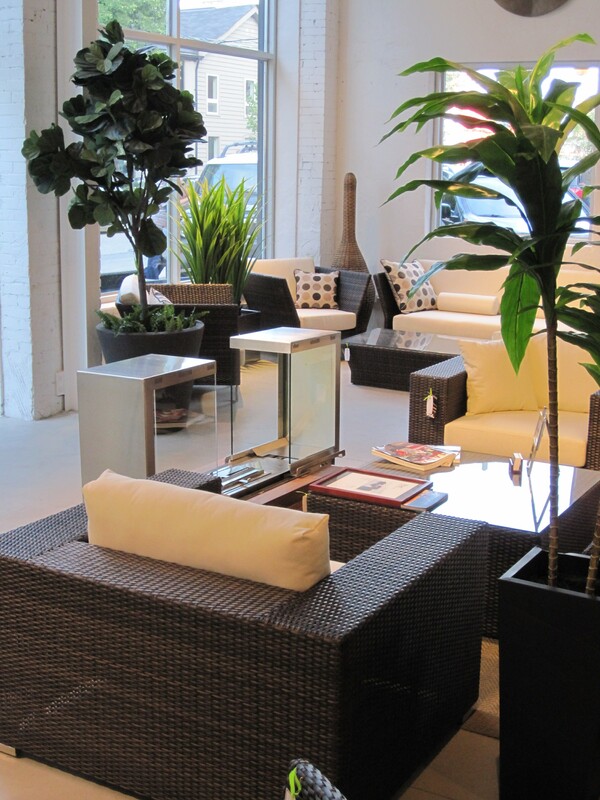 The owners have done a great job of transforming the space, which was formerly an auto-repair garage, into a bright and modern store that showcases the furniture extremely well.